One of the founders of Assisting Hands Home Care® is Dr. Gail Silverstein, who has more than 25 years of experience coordinating and leading health care programs in both the public and private sector. It was Gail’s understanding of the health care industry, along with the personal experience of trying to find assistance for her father at home, that led her to realize there was a serious gap in services. She joined with Cline Waddell of Boise, Idaho to establish Assisting Hands® Home Care. Together Gail and Cline launched Assisting Hands® – to provide a better alternative for the elderly, disabled and others needing a little extra support and assistance to stay home! Today, our Assisting Hands family of franchise owners serve their communities and care for others in locations spread throughout the United States. Assisting Hands® owners find fulfillment in their professional lives while serving the needs of others in their community. Assisting Hands Businesses provide exceptional in-home quality care to individual clients in their residences at scheduled sessions and times, up to twenty-four hours per day. Caregivers facilitate the maintenance of quality of life for those in need of medical and non-medical assistance while allowing clients to remain in the comfort of their own homes. 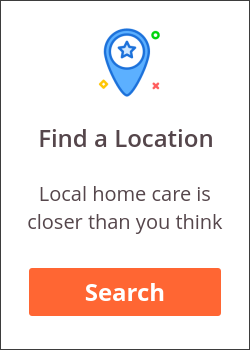 Quality Home Care You Can Trust! When Friends and Family Can’t Do It All, Give Assisting Hands a Call. To offer our clients personalized in-home support services, assisting the elderly, disabled and others needing assistance to maintain quality of life. Our services support the individual’s choices and preferences to be in their own home in order to maintain their dignity and independence. We assist clients in a spirit of concern for their welfare, gaining satisfaction and a sense of pride for the value that we add to their lives.